Processing garage service orders, generating job sheets and invoices. Archiving details of work done because of the legitimate interest in viewing work history if the car returns. 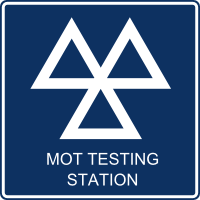 Reminding previous MOT customers of the renewal date of their test because of the legal interest. Checking data for errors, duplications and inactive customers because of the legitimate interest in keeping company records accurate. We never share personal information with anybody, unless required by law. Having documented data protection procedures and keeping proof these are followed. Appointing a Data Controller responsible for maintaining this policy and Data Processor responsible for ensuring that processing is done as documented. Regularly analysing where and how information is stored and processed to ensure all risks to personal information are properly identified, understood and appropriate protection measures taken. Ensuring there is a legal basis for each process that uses personal information. Regularly checking personal data for accuracy, duplication and removing inactive customer information from the company’s data stores unless required for archiving, and legal reasons. Usually someone is regarded as inactive if they have not made a booking of any type in the last 3 years. Giving information on what information is held on a subject on request by that person. Never sharing personal data with third parties. Ensuring the accounting service, garage management system, marketing, email and web server providers give written assurance of compliance with appropriate security and privacy standards to enable this policy to be delivered. Not holding or processing data. Not collecting information on visits to the website through logs or cookies that can be attributed to a person. Awareness of the policy is ensured by publishing it on the website and displaying notices about it in email communications, and in garage reception. Anybody can object to the company’s use of their personal data by contacting the Data Controller to have it removed from White House Motors data stores. Anybody can request details of what information is held on them. All questions relating to data protection and privacy should be sent to the Data Controller at the email address below. If this does not result in a satisfactory resolution the ICO’s office can be contacted and details are on its website: ico.org.uk. The Information Commissioner’s website: ico.org.uk explains rights to request information and how to complain.